Planning to get something special for your loved one? From now till 31 Oct 2016, enjoy up to 50% discount and get an additional 20% off regular-priced items at Taka Jewellery, exclusively for Citi Cardmembers. T&Cs apply. The greatest solitare sale event not to be missed! Visit us at ION B4 Atrium from 26th - 31st July 2016, 11am - 9.30pm. 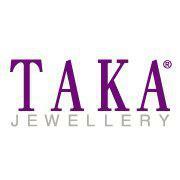 Expect Further Reductions at all TAKA Jewellery stores this GSS. 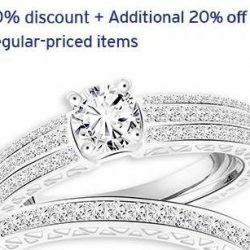 80% + 5% OFF on selected jewellery. Plus, free accessory with purchase of any jewellery! While stocks last. 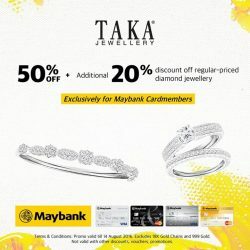 The Great Singapore Sale at TAKA Jewellery made better with an exclusive Maybank Card promotion. Visit your preferred outlet today! 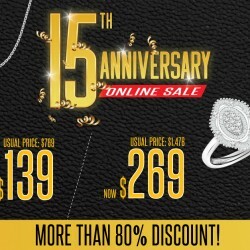 Celebrate Taka Jewellery's 15th Anniversary with their online sale up to 80% off at Lazada! Enjoy exclusive anniversary deals and receive a complimentary gift and voucher worth $30 from Cellinique with every order, limited to the first 100 customers. While stocks last. 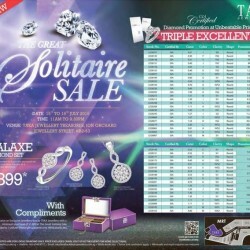 Enjoy the great solitaire sale @ TAKA. Starting from 16 July to 19 July 2015. So, see you there guys! 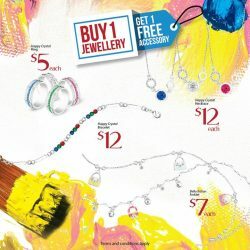 Check out the TAKA Jewellery Mother's Day Promotion. 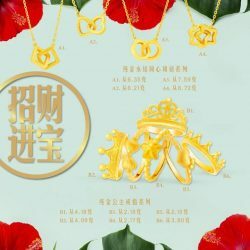 FREE a jewellery box with min $500 spend. FREE a Ceramic Cooker with min $1,800 spend (members only need to spend $1,500). For a limited time only. While stocks last. Visit in-store or website for more details. 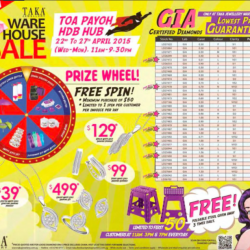 Bring your friends and family now to Taka’s Jewellery Warehouse Sale at Toa Payoh HDB Hub from 22 to 27 April 2015, 11am to 9:30pm. 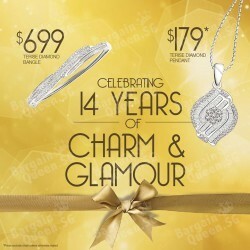 The TAKA Jewellery 14th Anniversary Charm & Glamour Promotion is on. FREE an Air Fryer with a min $2,800 spend or Kitchen Organiser Set with min $500 spend. For a limited time only. While stocks last. Terms and conditions apply. Feel the love this Valentine Day with something dazzling! Share the love with everyone who holds a special place in your heart with jewellery that will bring surprises and smiles to them. 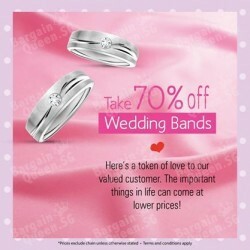 Sweet deals that starts from $5 for a pair of earrings or ring. Receive a 'Hug Me' neck pillow when you purchase $500 and above. Check out the TAKA Jewellery International Jewellery Preview 2014 at Mandarin Orchard Hotel, Grange Ballroom, Level 5 from 11am to 8pm. Get FREE jewellery box with purchase!